I am a fan of CDs. I enjoy CDs of all sorts. There are, of course, compact discs, as well as the classic units candelas (cds) and cosmological decades (CÐs). My favorite endangered pigment component is the element cadmium (Cd) . The band T2’s song, “CD,” which occasionally pops up in my iTunes shuffle, is pretty good. And today, I’m going to talk about clusters of differentiation. 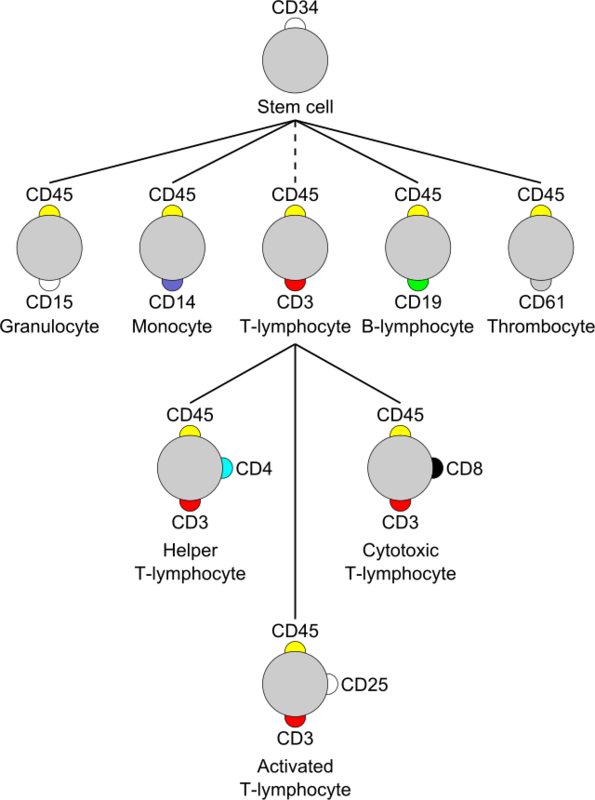 Clusters of differentiation are molecules (usually receptors or ligands) whose presence or absence on a cell’s surface can be used for classification. According to the Human Cell Differentiation Molecules website, there are 371 CDs, several of which have various subtypes. Below is a diagram illustrating the classification of CD45+ cells (aka white blood cells!). How very orderly! CD classification of leukocytes. Thanks, Wikipedia! Importantly, the CD molecules don’t simply exist for classification like boring tab dividers in your binder. 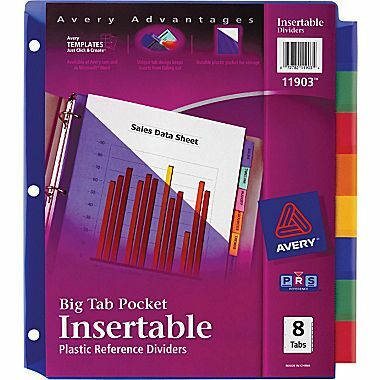 They each have additional functions, like pocketed tab dividers! I love these things… I just had to give them a shout-out at some point! I previously wrote about CD36 and CD95, both great molecules in their own right. But today, I’m going to talk about a CD that is near and dear to my heart and the hearts of many other BioGPS users: cluster of differentiation 4 (CD4). I mentioned CD4 recently in my post about AIRE. Briefly, there are two types of T cells (white blood cells produced in the thymus), which are marked by the expression of CD4 or CD8. CD4+ T cells are known as “helper T cells.” (CD4 can also be found on monocytes that convert to macrophages, but that’s a whole other story1). Helper T cells are activated when antigens, presented on the class II MHC proteins of macrophages or dendritic cells, bind to the T cell receptor. Once activated, the helper T cell activates other T cells and B cells, leading to an immune response. CD4 does a lot of good, but HIV has co-opted the protein as its entry point into the immune system. (Read Melissa’s overview on the history of HIV here!). Envelope glycoprotein GP120 (gp120, encoded by env) on the surface of the HIV “envelope” attaches to CD4. When this happens, the virus changes shape, so it can grab onto a second cell receptor, CCR5 (aka CD195!). After both bonds are formed, HIV can enter the cell. Because CD4 cells are directly affected by HIV, the number of CD4+ cells in 1 cubic millimeter of blood is used as a measure of HIV progression. The normal “CD4 count” range is 500-1500. HIV treatment is generally initiated when CD4 count reaches 350, and CD4 count is used to monitor treatment efficacy.2 Acquired immun0deficiency syndrome (AIDS) is diagnosed when this number drops below 200. Without these very important T cells, the body is at risk for infections, such as pneumonia and tuberculosis. So far, treatments for HIV include antiretroviral therapies (ART) that aim to stop existing HIV from replicating,34 as well as broadly neutralizing antibodies (bNAbs) designed to block the action of HIV. Soluble CD4 (“sCD4,” i.e., CD4 that has for some reason left the cell surface and floats freely in the blood stream) and immunoadhesins of CD4, which are the fusion of CD4 to the Fc region of an antibody,5 have been administered to trick HIV into binding to CD4 in the absence of a cell. In essence, we’re hoping to utilize fake CD to con4fuse HIV. You might think the immune system would react negatively to the presence of false CD4, but it recognizes that imitation is the sincerest form of flattery, so it needn’t be upset by the presence of so many imposters. Although these treatments have had some success, no HIV vaccine nor complete treatment has been discovered. Recently, however, Gardner et al. 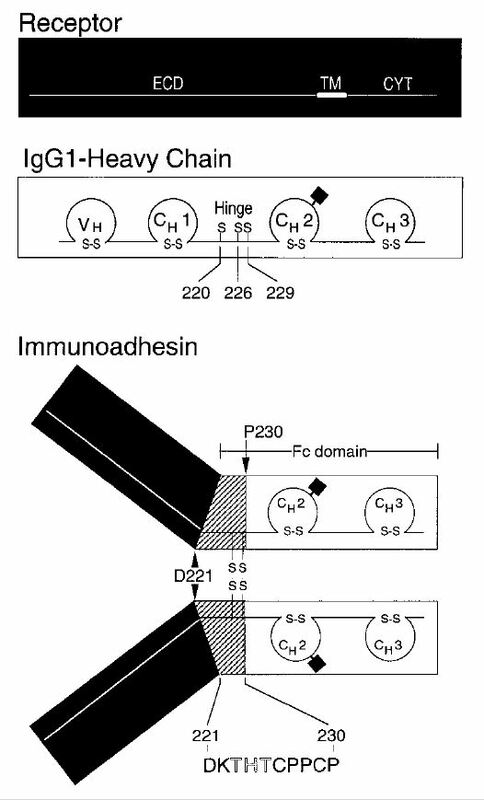 (2015) developed an exciting new approach to treat HIV.6 Although similar to the immunoadhesin form of CD4 (CD4-Ig), the new “eCD4-Ig” is produced by the fusion of CD4-Ig to the secondary cell receptor CCR5/CD195. If you’ll permit me to anthropomorphize a bit, the virus first grabs onto the CD4 region like it would to CD4-Ig, but then it grabs onto CCR5, rendering it completely incapable of binding to a real CD4/CCR5- expressing T cells! When I imagine HIV binding to eCD4-Ig, I am reminded of visits from my overly-affectionate aunt who loves to give uncomfortable and seemingly unending hugs. To avoid exposure to her attack, my older brother would forcefully nudge me into her arms as she entered our house. With bother of her arms surrounding my smothered body, my brother—like a helper T cell protected with the help of eCD4-Ig—would run free and unhugged. Don’t you wish you had a free-floating set of arms that could take those awkward hugs for you?? eCD4-Ig has only been tested in non-human primates, but it shows great promise for future use in humans. Very low doses of the molecule have been shown to have long-lasting effects against several forms of HIV and simian immunodeficiency viruses (SIVs). The use of eCD4-Ig in patients could provide relief from current daily-administered treatments, and it doesn’t seem to cause an adverse immune reaction. Excitingly, the research suggests that the drug may also function as an effective HIV vaccine! It will likely take some time to determine the efficacy of eCD4-Ig in humans and (fingers-crossed) approve it for general use, but there are high hopes for this new treatment! Hooray for imitation! And in this case, double imitation! Yay! BioGPS inquiries for CD4 are on the rise. Perhaps in part due to its mention in my post about AIRE?? Well, that, and its association with HIV action and prevention. 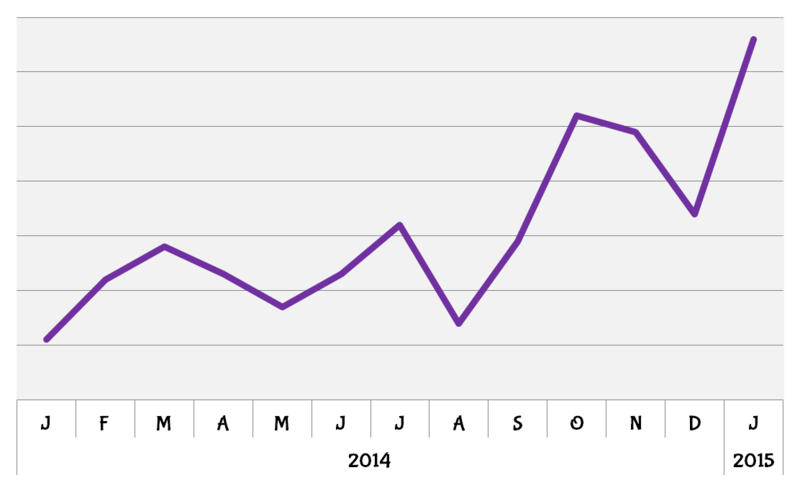 I predict that this upward trend will only increase as the news about eCD4-Ig spreads!